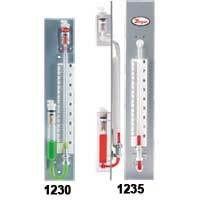 Use Series 1227 as a regular U-tube manometer to read high-range pressure on the right leg, or as an inclined manometer to read low-range pressure on the bottom leg. 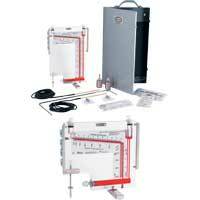 Simply incline manometer until fluid levels read zero. 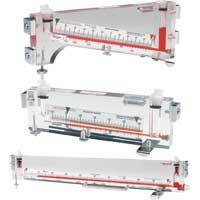 No spirit level required. 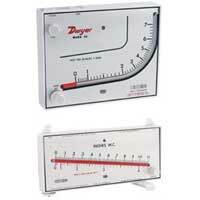 Magnetic clips hold the gage in position on a steel duct surface. 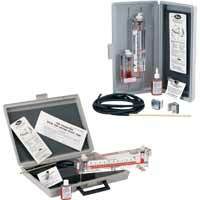 Most versatile and useful low cost manometer we know of. 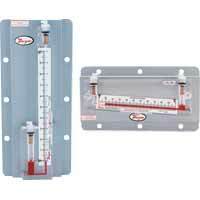 Designed for installation and servicemen. 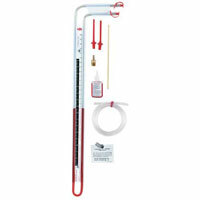 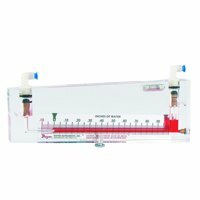 A sturdy, clear plastic manometer, it offers single, direct readings in two ranges: As a U-tube, it reads from 0 to 16" of water; as an inclined gage, it reads from -.20 to 0 to 2.6" of water. 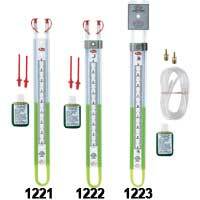 Model 1227M (Metric) is 0 to 400 mm water column as a U-tube and -5 to 0 to 70 mm water column as an inclined gage. 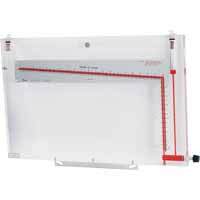 "How-to-use" instructions are printed directly on the scale.